I attempted to arrange the photos in the order in which the events occured; no luck. I did give detailed captions though. Enjoy! 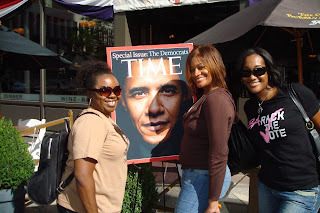 Miko, Tiff & Shan downtown Denver posing w/Obama's Time cover. On my way to watch one of the speeches. 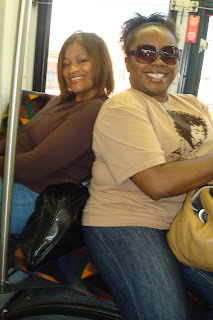 Miko & Tiff taking advantage of Denver's public transportation. 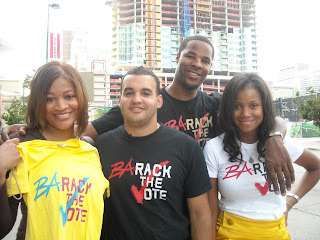 Tiffany w/ the Barack the Vote crew. 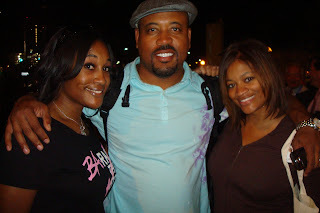 Brandon, (next to me) co-owns the line w/his sister Lorielle, not pictured. Love them! 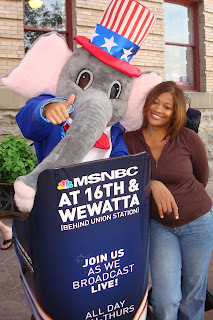 Kickin' it with the Republican elephant. It's all love. 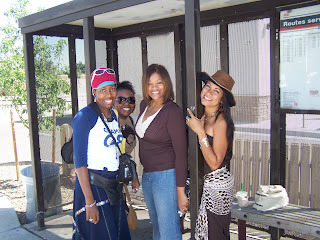 Around the way girls standin' at the bus stop-w/no lollipops. On our way to the festivities. 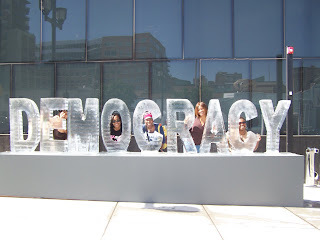 Acting silly at the DEMOCRACY ice sculpture. This was really cute. Compton, Cali in the house. These guys are the creators of the Obama peace foam fingers. 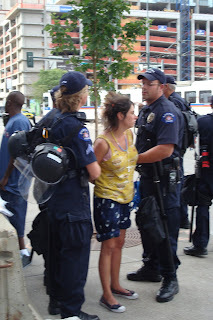 The vendors "came up", in Denver. 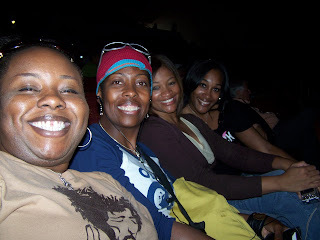 Compton was seriously in the house. 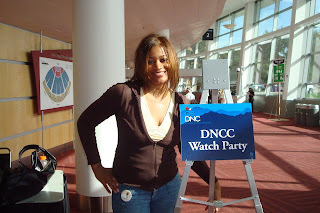 I went all the way to Denver and met so many people from Compton. Craziness! Protestors were representing as well. Almost doesn't count, but it will do for the purpose of this photo. 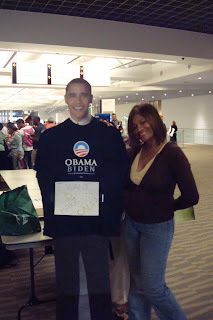 At the Denver Convention center watching one of the speeches.